Jonathan Derbyshire: In March, US president Donald Trump tweeted that “trade wars are good, and easy to win”. Events in the intervening six months suggest that his optimism was misplaced. As Gideon Rachman observes in his column, the first round of tariffs on China announced by Mr Trump was met with a swift reaction from Beijing. And a further tranche on $200bn of Chinese imports will elicit a similar response. 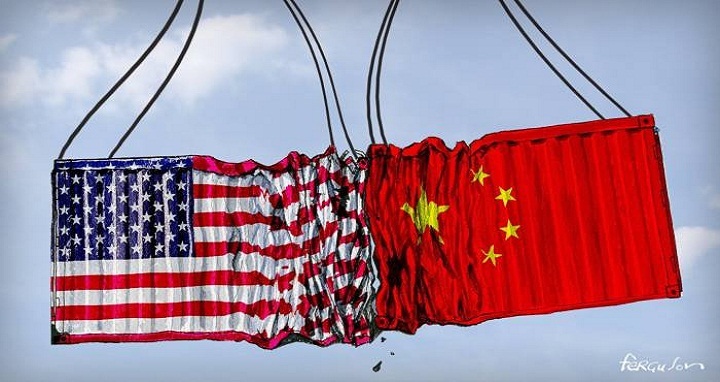 The divergent geopolitical and commercial interests of both powers suggest that we are on the verge of a full-blown trade war. And it is unlikely to be settled any time soon. Robert Shrimsley examines the prospects for the formation of a new pro-European centre party in the UK, and concludes that the time is not yet ripe. John Thornhill defends the principle of “net neutrality”. In the absence of perfect competition and rational actors, he argues, governments should enforce equal access to the internet. Anjana Ahuja considers the patenting of genetic sequences harvested from the world's oceans and asks to whom this biological bounty truly belongs. Amy Kazmin looks at a randomised control trial in the Indian state of Assam which demonstrates the dramatic economic benefits of providing workers with reading glasses.